It took them quite some time to join the party but earlier today, U Mobile have finally launched LTE network for their customers. While the coverage area is extremely limited for now but it is still interesting to note that U Mobile’s LTE network is available for both prepaid and postpaid customers. 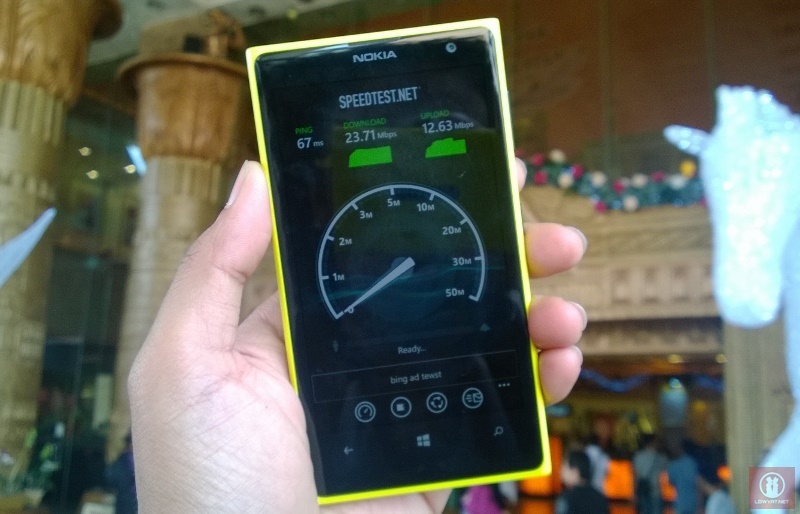 Not only that, users are able to utilize the network through broadband dongle or LTE-enabled smartphones. That being said, the network is not accessible for Apple iPhone and iPad users even though the new iPhone 5s/5c, iPad Air and iPad Mini with Retina Display actually support the 2600MHz spectrum that U Mobile used for their LTE network. With that, we decided to do a simple speed test on U Mobile’s LTE network at two locations earlier today – just few hours after the launch event itself. 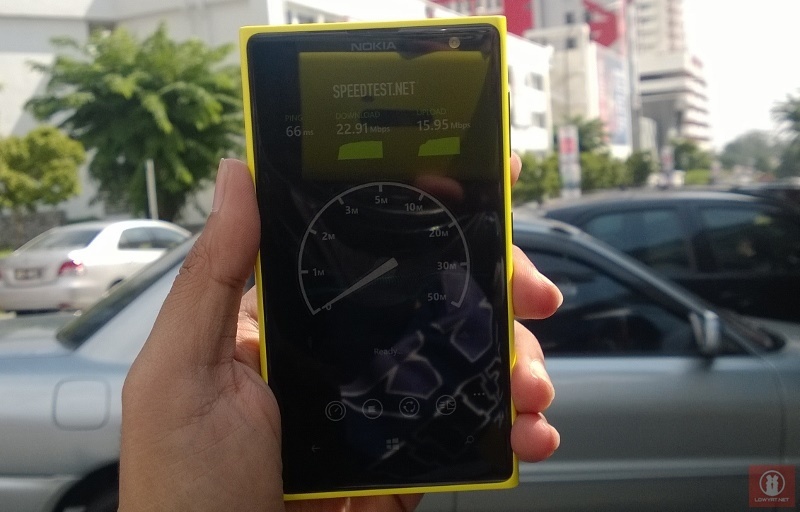 These test were done through the official SpeedTest.net Windows Phone app on a Nokia Lumia 1020 using our personal mobile number that is tied to the telco’s U58 postpaid plan. We have also set U Mobile’s server in Kuala Lumpur as the app’s test server. To see the results, just hit on the Read More link below (if available) to continue reading. The first location that we chose for our U Mobile LTE test is at the entrance of Sunway Pyramid, as shown at the beginning of this post. While we managed to run the speed test without any disturbance and the LTE signal indicator steadily showed 4 bars (out of 5), the LTE presence in that area doesn’t feel that stable though as we keep on falling back to HSPA+ or HSPA right after the test above was done. Nevertheless, the results that we received during the test is rather good at 23.71 Mbps for download and 12.63 Mbps for upload. As a comparison, the same test on HSPA+ signal at full bar resulted in much lower speed of 4.86 Mbps for download and 0.93 Mbps for upload. Over here, the connection seems to be more stable and we have no problem locking down to LTE connection at full 5 bar signal throughout our time there. As you can see above, the results that we managed to achieve at SS15 are in the same range with our earlier test results from Sunway Pyramid. 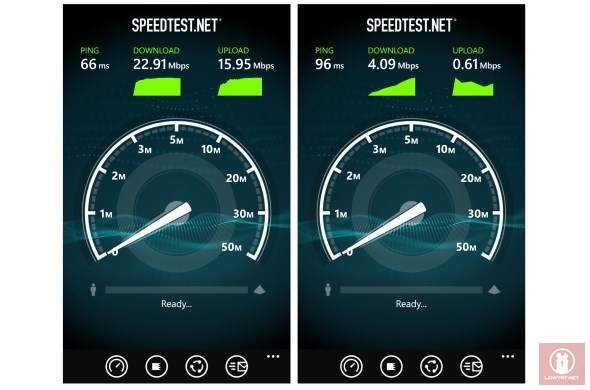 In general, the LTE speed that we managed to achieve during these two tests are nowhere near the maximum speed of 75 Mbps that was claimed by U Mobile. 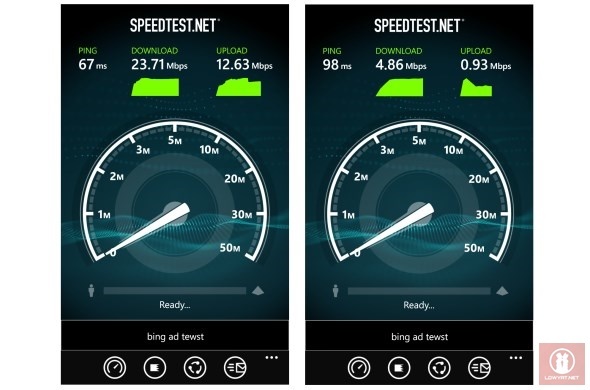 Nevertheless, the results generally showed the differences of speed that users are able to achieve through U Mobile’s LTE and HSPA+ networks in these areas. Meanwhile, we are planning to repeat the same test in other locations soon but do feel free to share your own test results through our comment section below.